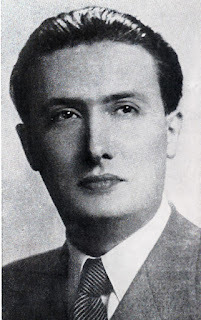 Cesare Andrea Bixio, the composer behind such classic Italian songs as Vivere, Mamma, La mia canzone al vento and Parlami d'amore Mariù, was born in Naples on this day in 1896. Bixio enjoyed many years of popularity during which his compositions were performed by some of Italy's finest voices, including Beniamino Gigli, Tito Schipa and Carlo Buti, and later became staples for Giuseppe Di Stefano and Luciano Pavarotti. He was also a pioneer of film soundtrack music, having been invited to compose a score for the first Italian movie with sound, La Canzone dell'Amore, in 1930. As well as writing more than 1,000 songs in his career, Bixio penned the soundtracks for more than 60 films. Bixio's father, Carlo, was an engineer from Genoa; his grandfather was General Nino Bixio, a prominent military figure in the drive for Italian Unification and one of the organisers of Garibaldi's Expedition of the Thousand. Carlo, who died when Cesare was only six years old, married a Neapolitan, Anna Vilone, who wanted him to pursue a career in engineering, like his father. However, after developing an interest in music at an early age he had other ideas. He wrote his first song, Suonno e Fantasia - Sound and Fantasy - when he was only 13 years old. He loved the variety shows that were popular in Naples and all over Italy as he was growing up and it was not long before he received the first payment for his work. It came after he had waited outside the stage door one night for the singer Domenico 'Mimì' Maggio and told him he had written a song for him, called Canta Maggio. Maggio liked it so much he included it in a performance, for which Bixio was paid six lire. 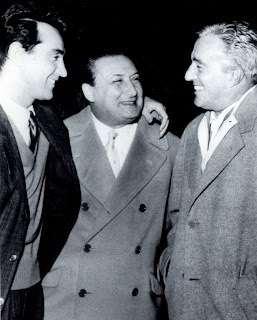 As important as that first financial reward was, equally so was the chance to meet some of the most influential figures in the Neapolitan music scene, such as Ernesto de Curtis, brother of Gianbattista - famous for Torna a Surriento - and Eduardo di Capua, who wrote the melody for 'O Sole Mio. More successes followed and in 1920 Bixio set up his own publishing company, initially in Naples but soon to move to Milan, where he was able to operate from a prestigious address in Galleria del Corso. This was to bring him real wealth when he signed a lucrative contract worth some 64,000 lire - a colossal sum at the time - to compose for the French revue star Gabrè - who was actually a Calabrian called Aurelio Cimato - at the Casino de Paris. In turn, this brought him work at the Folies Bergère music hall and with one of the darlings of French cabaret in the 1920s, Lys Gauty. However, it was the burgeoning movie business that enabled Bixio to create the legacy of famous songs still performed today, many of which stemmed from his partnership with the Italian lyricist, Bixio Cherubini. 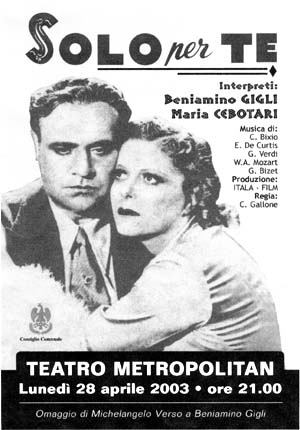 These included Mamma, from the 1940 film of the same name starring operatic tenor Beniamino Gigli, who also sang Nanna nanna della vita - Lullaby of life - in the 1938 production Solo per Te. Parlami d'amore Mariù came from the 1932 movie Gli uomini, che mascalzoni! - Men, what scoundrels!- for which the lyrics were written by Ennio Neri for Vittorio di Sica, an actor and singer who would later win Academy Awards as a director. Equally popular with contemporary singers is Bixio's Vivere, title track from the 1937 film starring Tito Schipa, another tenor from an opera background. He continued to write for the big screen until around 1960, after which soundtracks for television became part of his repertoire. His songs have featured in films even since his death such as Raging Bull, released in 1980, which included Vivere and Stornelli fiorentini, and two movies in 1990, The Freshman and Goodfellas, both of which featured Parlami d'amore Mariù. Bixio, whose son Carlo Andrea Bixio was a music and television producer, died in Rome in 1978, aged 81. 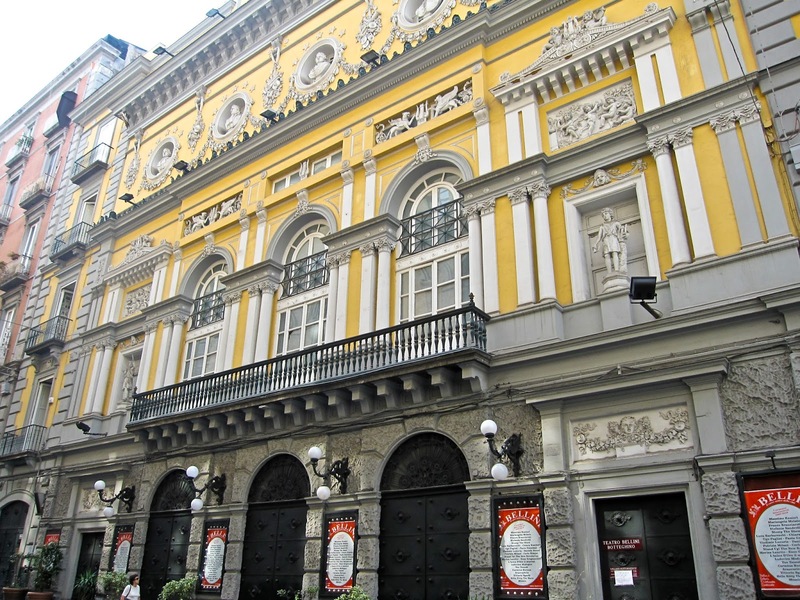 Naples has a thriving theatre scene of which the world famous opera house Teatro san Carlo is just one part. In the centre or close by are many more, including the elegant and historic Teatro Bellini, situated halfway between the Dante and Museo metro stations, the Teatro delle Palme in the fashionable Chiaia district, the Teatro Diana in Vomero, the Teatro Greco-Romano and the Teatro Augusteo. Bixio's Milan office in Galleria del Corso was a few steps away from Corso Vittorio Emanuele II, a porticoed street connecting Piazza Duomo and Piazza San Babila which today is one of the city's upmarket shopping areas, particularly for clothing and accessory boutiques. Closed to traffic by day, in the evening Corso Vittorio Emanuele II is notable for its concentration of cinemas and late-night bars and remains crowded until the early hours.